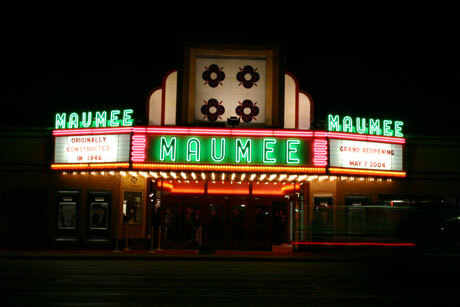 The Maumee Indoor Theater is more than just movies. Three unique spaces are available for rent with amenities including digital and 3D cinema projection, wireless internet, conference calling, DVD, power point and cable television connections for live performances, business meetings or parties. Rental prices and availability vary depending on day and time of the week and the event. Click here for rental schedule. $1.00 off our Kid Snak Pak (pop, popcorn & treat) Regular price $4.25.